Elsevier’s comprehensive, enterprise-wide revenue cycle online training and competency management solutions are must-have resources for physician and staff training that lead to better data, improved productivity, faster claim submission, accurate reimbursement, better cash flow, precise quality rankings, and sounder business decisions. Comprehensive coursework designed for clinical documentation improvement specialists, coding staff and physicians. Offering both new and experienced Health Information Management professionals the opportunity to expand their inpatient and outpatient coding knowledge. Education in healthcare compliance enables your organization to run ethically, legally, and efficiently. Partnered with HFMA, our eLearning courses ensure that executives and front-line staff have the necessary and timely education available when they need it. Providing basic knowledge of medical terminology, anatomy and physiology, and pathophysiology of diseases and conditions. 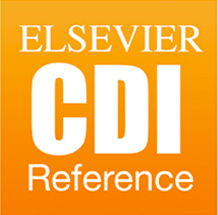 Available for Android and iOS phones and tablets, the Elsevier CDI Reference Mobile Application is an invaluable tool in your organization’s transition to ICD-10 and ongoing clinical decision improvement. Learn about Current Procedural Terminology (CPT®), the nation’s most widely accepted nomenclature for reporting outpatient & office medical procedures. It is important that coders know not only how to code for risk adjustment but also where to find the needed information.